To Fit: Saab 9000 1993 onwards all 4 cylinder models. Equivalent to Saab part number - 5328679, 9321878. Complete Fuel Pump. To Fit: Saab 900 all 1998 models. Equivalent to Saab part number -5196415, 30587015. Complete Fuel pump. To Fit: Saab 9-5 1998 onwards all Petrol Models. Equivalent to Saab part number - 30587077, 5196423, 8822694. Fits:-Saab 9-3 Mk1 2.0 Petrol Mk1 models made from:- 2003 to 2007 with Part Number:- Not Found. For Sale:-Saab 9-3 Fuel Pump with Sender Unit. neutral or. We always try our best to help. The rest of the World = £23.65. 9-3SS 2004 on 4 cyl Petrol B207 (ex. US & Canada) - Fuel Pump Insert. Saab 9-3SS 2004 onwards all 4 door & 5 door 4 cylinder petrol models (B207, Z18XE ) (Not suitable for 2003 models ). Saab 9-3SS 2004 onwards all convertible 4 cylinder petrol models with chassis numberfrom 46015631--. SAAB 9-3 2004-2009 1.8 INJECTION. GENUINE SAAB FUEL PUMP 9-3 1.8XE. PART NUMBER - 93183433. SAAB 9-3 2003 2006 1.9 duesel HIGH PRESSURE INJECTOR PUMP . Any question 01212488005 Condition is Used. SAAB 9-3 1.8 & 2.0 TURBO. FUEL PUMP IN THE TANK. 2005 TO 2012. IN GOOD WORKING CONDITION. PARTNUMBER 0445010184. SAAB 93 9-3 1.9 TID HIGH PRESSURE FUEL INJECTION PUMP. 2006 TO 2012. 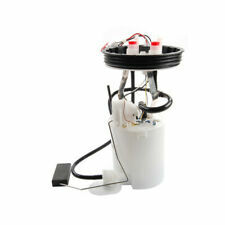 SAAB 9-3 1.9 TID FUEL PUMP IN TANK AND SENDER UNIT. WILL NOT FIT THE 2.2 TID. This is for the fuel tank only no other accessories. This part has been removed from 2004 SAAB 93 2.0t CONVERTIBLE. PART IN GOOD CONDITION AND 100% FULL WORKING ORDER. SAAB 9-3 (9440) B2O7 IN TANK FUEL PUMP (PART NO: 93185093). SAAB part number is 93185093. To suit SAAB 9-3 (9440) B207 Petrol Turbo engines 2004 to 2011 model years. 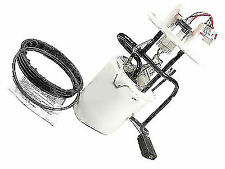 I have up for sale a used genuine in tank fuel pump. ENGINE: Z19DTR. TWIN TURBO TTiD SAAB 9-3 2008 ONWARDS. TTiD ( Twin TURBO). You are looking at aSAAB 9-3 Pressure Fuel Injection Pump. SAAB 9-3 (2008-2010). Your 3 digit Saab body colour code can be found in your glovebox OR on the inside of one your front doors. 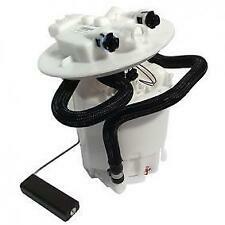 SAAB 9-3 1.9 TTID TWIN TURBO FUEL PUMP IN TANK AND SENDER UNIT. FITS FROM 2003 TO 2012. To Fit: Saab 9-3SS (YS3F) Convertible / Carbiolet 2004 model year only 1.8t & 2.0t petrol models withchassis number up to --46015630 (B207 ). Saab 9-3SS CV 2004 model year only, 4 cylinder petrol - Complete Fuel Pump. 2008 Saab 93 1.9 TiD Saloon will fit estate convertible 2003-2012. PART IN GOOD CONDITION AND 100% FULL. This part has been removed from. PART NUMBER - 5328653. SAAB 900 - 1990-1993 B202 B212. SAAB 9000 - 1990-1991. GENUINESAAB 9000 COMPLETE FUEL PUMP. (SAAB 93 Fuel Pump 0000247154. Other Details: 1.9 Diesel 03-11 1900cc tid siemans vdo make 120bhp. This item was removed from a 2005 vehicle. Jersey, Guernsey, Scilly Isles) as well as for the Scottish Highlands. This item has been removed from blueSaab 9-3 Vector Sport 1.9 TiD (2005). EVERY PART TAKEN OUT OF THE VEHICLE HAS BEEN TESTED. PART CONDITION IS. (IF PART HAS. THIS PART IS GENUINE AND IN GOOD WORKING ORDER. ). SAAB 9-5 (9600) B2O5 B235 B308 FUEL PUMP (PART NO: 30587077). SAAB part number is 30587077. To suit SAAB 9-5 (9600) B205 B235 and B308 Petrol Turbo engines 1998 to 2010 model years. PN 4023867. PETROL ONLY. Leelac Saab Specialists. Leelac Spares. Z19DTR / A19DTR. This part was removed from a9-3 2009 TTiD. You are looking at aSAAB 9-3 Fuel Pressure Regulator Reservoir. Your 3 digit Saab body colour code can be found in your glovebox OR on the inside of one your front doors. SAAB 9-3 1.9 TTID 2008 SALOON SILVER MILEAGE 120K BREAKING. DIESEL PUMP IN GOOD WORKING CONDITION. THE SCOTTISH HIGHLANDS AND ISLANDS,NORTHERN IRELAND. DIESEL PUMP IN GOOD WORKING CONDITION. AND OTHER OFFSHORE LOCATIONS. THE SCOTTISH HIGHLANDS AND ISLANDS,NORTHERN IRELAND. SAAB part number is 7522733. SAAB Classic 900 Carburettor engines 1986 to 1993 model years. Collection from Suffolk (IP6) can also be arranged. 2008 SAAB 95 Injector Pump (High Pressure). This item has been removed from a: 2008 SAAB 95. Make: SAAB. HFIP00604 Injection Pump ( ). Factor Number: HFIP00604 INJECTION PUMP. Fuel type: Diesel. Part Type: Injector Pump (High Pressure). saab 900 classic fuel pressure regulator in good used condition from a running car. message me for further info. Saab 93 1.9 TiD 120BHP diesel Fuel Pump Bosch 0445010156 in perfect working order Dispatched with DPD Next Day. Saab 900 classic early tyoe speedo cable. please study photos before purchasing thanks Message me for futher information .the item is from perfect working car but not brandnew. Many 900 classic parts available see my listing . Partcode: B44501074302. Manufacturer: SAAB. Engine: 2.2DIESEL. Part information. Taked from. Condition: Previously used OEM. Removed with care, fully working. This item has been removed fromSAAB 9-3 Vector Dt (2005). Colour: Black. Car Fuel Type: Diesel. Engine Size:1910cc ,120 BHP. THIS PART IS GENUINE AND IN GOOD WORKING ORDER. PART CONDITION IS. (IF PART HAS. ). 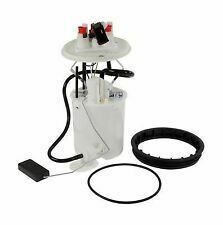 SAAB CLASSIC 900 & 9000 IN TANK FUEL PUMP (PART NO: 5328653). SAAB part number is 5328653. SAAB Classic 900 B202 and B212 Petrol engines 1990 to 1993 model years. SAAB 9000 Petrol engines 1990 to 1991 model years. ENGINE: B207. You are looking at a Genuine SAAB 9-3 Timing Case Cover Assembly. This will fit:SAAB 9-3 (2003-2010). ENGINE: Z18XE, B205, Z19DT, Z19DTH, Z19DTR. SAAB 9-3 (2005-2010). You are looking at aSAAB 9-3 Vacuum Pump Unit. Your 3 digit Saab body colour code can be found in your glovebox OR on the inside of one your front doors. SAAB NG 900 9-3 (9400) & 9-5 (9600) FUEL PUMP BLACK ELBOW CONNECTOR (PART NO: 8981912). SAAB part number is 8981912. SAAB NG 900 1994 to 1998 model years. SAAB 9-3 (9400) 1998 to 2003 model years. SAAB 9-5 (9600) 1998 to 2010 model years. 2011 SAAB 95. Make: SAAB Transmission: Automatic. Year: 2011 Fuel Type: Diesel. This has been taken from a 2011 95 with 21800 Miles but may suit other models. Part Number.